upgrades, inspections, and service work. Mission : "To provide dependable, first rate electrical service to the community"
Let us help you with our proven method of Sort-Purge-Donate-Clean-Store. Aces High Organizing offers professional, friendly and courteous service while maintaining the highest level of integrity. We are always available and eager to answer your questions and concerns to provide you with the peace of mind that only our compassionate and understanding team can offer. We take immense pride and have built our reputation on our commitment to the most outstanding and excellent quality of service which has earned us an impressive reputation with our many valuable customers. FX of Nature is Landscape company that offers a wide variety of landscape services. Even though our specialty is water features, we also design and install full landscaping, irrigation, new sod, rock walls, and now offer artificial lawn and putting green installation. We're all for empowerment and a can-do spirit, but choosing, measuring and installing window coverings is something that’s best left to the pros. 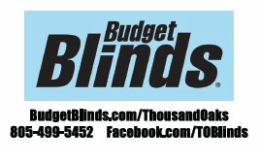 Precisely why you’ll love working with the Design Consultants at Budget Blinds. We’ll bring samples, swatches and styles to you, so you can see how they look in your home. Sure beats running from store to store or taking your chances online. We’ll measure your windows, do the ordering, inspect your window coverings on delivery, bring them to your home, install them perfectly and empower you with our "No Questions Asked Warranty"†! It’s never been easier to get exactly what you want. Let’s get started on your new window coverings, together! With access to over 100 insurance companies we always make sure your company is protected by the best insurance companies at the most affordable rates for your unique needs. We don’t work for the insurance companies – we work for you! 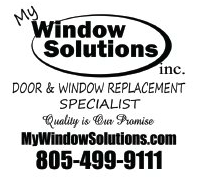 Window Solutions is the best place to get your replacement windows and doors. Our specialties are windows and doors, and nothing else. We have vast experience in all aspects of window and door replacement. 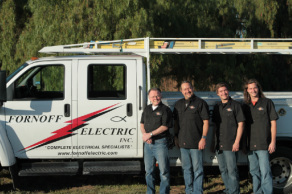 Our expertly trained technicians are ready to serve you in Ventura County and all surrounding areas. Since we are a locally owned business, you can rest assured that you will get personalized service for your replacement door and window needs. Energy savings, sound eduction, and added value to your home are what a well done window job will do. I help build solid foundations through Intentional Design Feng Shui so everyone is able to live life fully. Using my Essential Feng Shui® training to create spaces that support your goals and dreams and bring balance into your life. Call me to find out how “Cool” Feng Shui is … and allow me to help you create thriving home, business and classroom learning environments. It has been a most incredible journey learning this ancient art. I practice Essential Feng Shui® and BTB Feng Shui Principles. Intention, intuition, yin/yang and the 5 elements play an integral role in my Harmonizing Feng Shui style. Geoff Baker and his wife, Dore, are Realtors primarily serving east Ventura County and the western portions of Los Angeles County. Together they have over 45 years of combined real estate experience. Geoff received his Real Estate License in 1990 and his Broker’s License in 2001. He is very involved in his professional organization and is at the forefront of changes in the real estate industry. The Bakers focus primarily on providing exceptional customer service which has allowed their business to grow through the strength of repeat clients and their referrals. Contact Geoff and Dore to take the first step toward a hassle free real estate transaction. ​At Revolution Financial Management, we are driven by our desire to help the American family get into a better, stronger financial position. The focus of our company is to provide households with information, tools, and strategies to help them make good and informed financial decisions. Through our relationships with some of the most respected financial services companies in the world we help our c clients understand their needs and clarify their options. 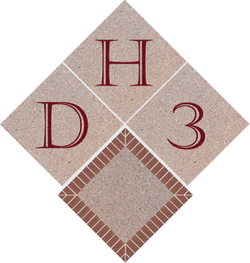 five-step program that restores and beautifies old concrete. Our scientifically formulated system has been engineered to bond permanently to concrete and withstand the many damaging elements concrete is exposed to. Save yourself money by not having to hassle with tearing out old cracked concrete.